Remember cereal? If you are grain/gluten free or following any sort of low sugar lifestyle cereal is a long distant memory…. I have a 5 minute recipe that you can whip together even in the foggiest of morning states, so you can sit down with bowl of cereal and feel like a kid again. 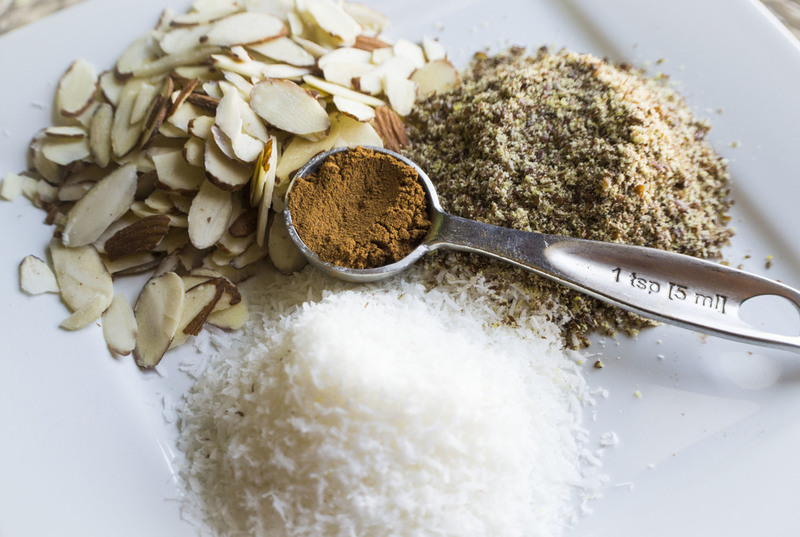 Simply toast the coconut and almonds in a a dry sauté pan until golden, add a pinch of salt, drizzle of maple syrup or stevia, little touch of coconut oil, cinnamon, throw in the flax seed meal and toss to coat. Cover in non dairy milk of choice, stand on your chair and you tell that box of wheaties to take a hike…you got this whole cereal thing covered. Try this version of Stevia for the most natural, purest form of this amazing plant! This recipe can be doubled/tripled etc and can be stored in an airtight container in a cool dark place ahead of time. Feel free to play around with the nut choices and spice options. I like to use stevia to keep this sugar free (buy green stevia for the purest form) to keep my insulin levels down in the morning, but use whatever sweetener works for your dietary needs. Paleo Granola Bars - Cheap, Delicious, and Easy! I realize that we all want to be healthy, look fantastic, and not put a lot of effort into the process but you may be scratching your head wondering where to start. Its ok, I am here to help. Your life is busy, so I want to give you a recipe you can make in bulk for an instant meal replacement, snack to throw in the kids lunches, or even an afternoon cure to the sweet tooth monster. I will be launching some meal plans soon, but in the meantime here is a simple granola bar recipe that can be doubled or tripled to make in bulk for the whole family. Whip up a huge batch on the weekend when you have 10 minutes of prep available and while they are baking, you can clean up, have a cup of coffee, do some squats…the choice is yours :) I went the extra step and sealed mine in individual pouches but these can also be wrapped in wax paper or kept in an airtight container until ready to eat. 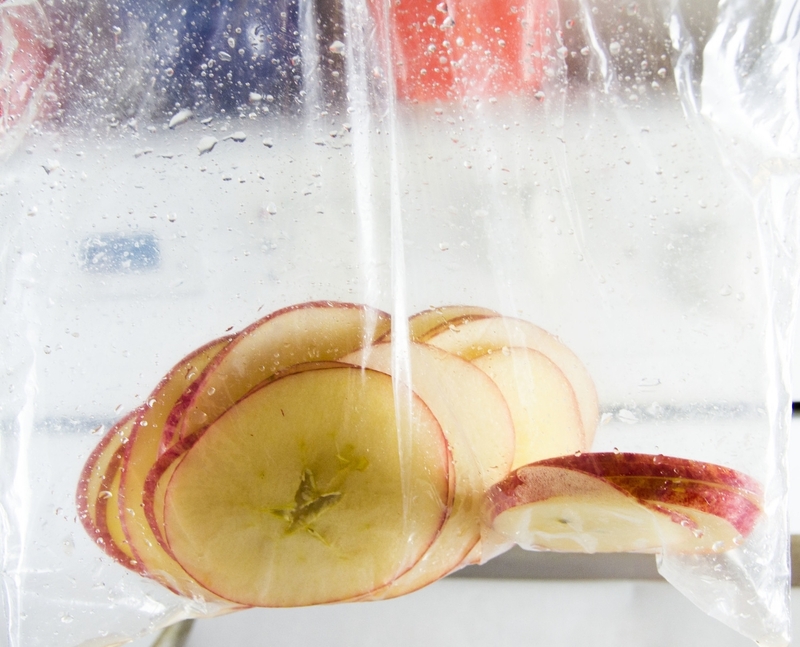 You can also freeze these and pull them out to defrost the night before so you have snacks ready to grab in the morning. 4 oz Dark Chocolate finely chopped. Line a 9x11 rectangle baking pan with parchement paper sling so the paper hangs over the edges for easy removal. Working in batches pulse the nuts/seeds in a food processor until the nuts/seeds are broken up into small pieces. You can also chop the nuts but you don't want too big of pieces. Transfer the chopped nuts back into the bowl with the whole nuts and add the flax seed meal. In a small saucepan over medium heat melt the coconut oil, sunflower/nut butter, coconut sugar, honey, and salt whisking until well comined. Pour over the nuts and stir until throuroughly covered. Whisk the egg whites for 10 seconds to get some air and mix them into the nut mixture thoroughly. Pour mixture into pan and using gloves or slightly wet finger tips, press the nuts firmly and evenly into the pan so it is one flat compressed layer. Sprinkle with additional sea salt over the top. Bake in the middle rack for 15-18 minutes or until the edges start to turn a golden brown. Remove and allow to cool thoroughly. Pull out of the pan and remove the parchement paper. Cut the entire granola bars in half length wise to have two long pieces. Then cut each half into 7 equal pieces to cut 14 bars roughly 1 1/2" in width and 4 1/2" in length. Drizzle or dip into melted chocolate if desired (see notes). It is completely up to you to toast the nuts and seeds before making the bars. They will taste so much better if you choose to do so, but its fine if you skip the step. For the chocolate use a dark chocolate with 70% cacao content or higher. You can melt it in a double boiler or if in a pinch chop the chocolate finely and microwave for 10 second intervals, stirring in between until melted and smooth. If you don't feel like melting chocolate, chop it into chunks and fold into the nut mixture before baking. 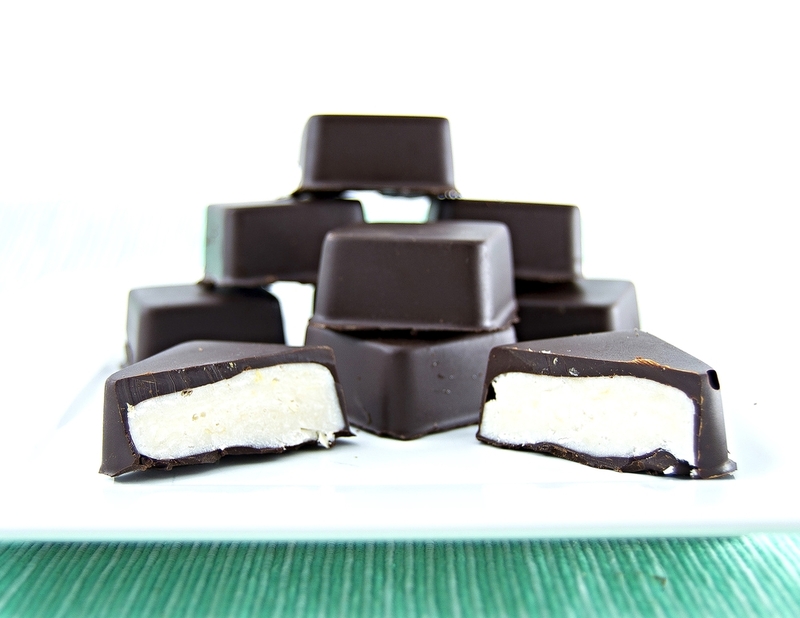 The perfect balance of salt, sweet, crunch, and fat made in minutes! Let’s get our healthy snack on!!! In a large bowl, add the cacao nibs, coconut oil, (maple syrup or honey if using) and pumpkin seeds and toss until the seeds are well coated in the oil. Sprinkle, the salt, and cinnamon until well coated. I don’t have time to eat right during the work week because I am glued to my desk or on the road. You are busy I get it. I hear this all day long from clients. People that eat clean, nutritious foods don’t necessarily have more time, they just manage it differently. Want to know the trick? Packing healthy, non perishable snacks in your bag before leaving the house is going to keep you on track and out of the drive thru. 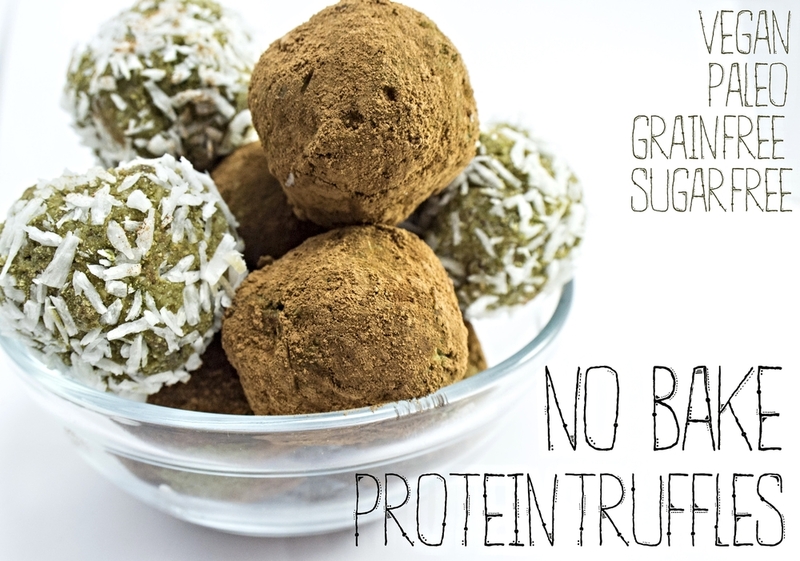 Make a huge batch of these protein truffles, pack up small bags of raw nuts/seeds, and bring some fresh fruit like apples or a banana that is ready to go. Keeping your blood sugar balanced throughout your day and staying well hydrated is going to keep your energy levels up, your brain sharp, and will keep you satisfied until you can sit down for a real meal. In the work bowl of a food processor, add all of the ingredients except for the non dairy milk, cacao and shredded coconut. Pulse to break up the dates. When they are broken up start to run the motor and stream in the non dairy milk until the mixture starts to become a dough in consistency. Using a standard ice cream scoop, scoop one ball and split this in half. Roll the truffle in your hands to form a ball. Complete this with the rest of the dough. Roll the truffles in either the cacao or the coconut. Store in the fridge and eat when you need a snack! I like adding greens powder to boost the nutritional content but make sure you add one that tastes good. I like the Amazing Grass brands and some optional flavors that would work in this recipe would be the chocolate or berry flavor. I swear on all things Holy and true that this is the LAST cold weather recipe I will be posting this season. It is currently 12 degrees where I am….winter is a cruel mistress that won’t quite take the hint and get the heck out of here already!!! Oh well guess it’s just another excuse to drink more of my latest obsession…. How, you say, can a hot chocolate be high in protein, good for you skin, dairy free, and paleo!?!? I know you may have weird memories of jello from your childhood or stays in the hospital but gelatin (from a reputable source like the one pictured above from Great Lakes) can be amazing for skin health, bone health, and a rich source of protein from the natural collagen. I love the Great Lakes brand because it comes from grass-fed cows and it is Kosher so you can feel good about the quality of this gelatin. Recently a client of mine, when I introduced her to the wonders of gelatin, said she didn’t know why she was spending so much money on bodybuilding supplements like BCAAs and protein powders when she could get all that she needs from one tablespoon of this gelatin for half the price. I know girl. So how do we get this gelatin into our hot chocolate? Its easy, I dissolve a heavy handed tsp in some cold almond or coconut milk while I heat up the rest of the milk, add some raw cacao (like this one) for a boost of natural caffeine and a huge dose of antioxidants, stir in the bloomed gelatin, whisk , add my sweetener of choice and BOOM! Protein rich, paleo, dairy free hot chocolate that will starve off hunger, curb that sweet tooth and give your skin and joints a nice boost of collagen. In a small bowl add 1/4 cup non dairy milk of choice and sprinkle the gelatin over the top and stir to combine. In a small sauce pan add the remaining non dairy milk and heat over medium high heat. Whisk in the cacao, salt, and sweetener of choice. When the milk comes right under a simmer add the bloomed gelatin (you may need to use a spatula because it will be a solid mass) and whisk to melt and incorporate. When the mixture is heated to your desired temperature remove from the heat and pour in a mug. You can also substitute a dark chocolate for the raw cacao and omit the sweetener. Use about 1-2 oz or to your level of liking. I am a girl who needs food frequently. Only problem is I don’t like to eat junk or buy $4 a pop on protein bars that have questionable ingredients…so what do I do? I make my own! And now you can too! Since this is January and we are all trying to lose a few pounds these are the perfect snack, breakfast, or pre workout meal because they are vegan, gluten-free, grain free, high fiber, and sweetened lightly with dates. Want to know the best part? You can make the whole batch in your food processor and they don’t require any baking. Prepare a 9x5 loaf pan by lining with wax paper like a sling with the sides hanging over the edge for easy removal. In the workbowl of a food processor add all of the ingredients except the almond milk. Pulse until the mixture forms a sandy texture and the dates are chopped finely. With the motor running slowly stream in the almond milk until a dough forms. Press the dough into prepared loaf pan. Using a spatula or your hands, spread the mixture evenly in the pan, pressing down firmly. Optional: place chocolate into a microwave safe bowl and nuke on high in 20 second intervals, mixing between each. When chocolate is fully melted, drizzle over the top of the packed mix using a spoon. Place pan into fridge and allow to cool for ~30 minutes before cutting into 8 bars. Todays post is for all of you out there who have been working so hard trying to stay in shape and are having a bit of a panic for this years holiday eating season. Lets tackle the Thanksgiving table and make a low carb alternative to mashed potatoes. I have had my fair share of cauliflower “faux” mashed potatoes so lets mix it up with a new veggie that you probably haven’t thought to use in a vegetable puree. Enter the low starch phenomenon called the turnip! These little beauties have a very low starch content and are the Paleo/low carb dieters key to satisfying the need for a creamy puree for Holiday and comfort meals. A quick disclaimer, they do not taste like a potato so I like to add some rich flavors like dried mushrooms to change the somewhat spicy flavor a turnip can have. Don’t worry though, once the turnips cook that spice turns sweet and luscious. The other option is to use half potatoes and half cauliflower or half potatoes half turnips to cut the starch content down. Either way you will eliminate a lot of calories and add in a different profile for nutrition and taste. Just make sure to cook the potatoes separately from the turnips and/or cauliflower because the cooking times are different. In a medium sauce pan add the broth, the mushrooms, and the chopped turnips. Bring to a boil over high heat and then reduce to a simmer with the lid off and cook for 15-20 minutes or until the turnips are easily pierced with a knife. 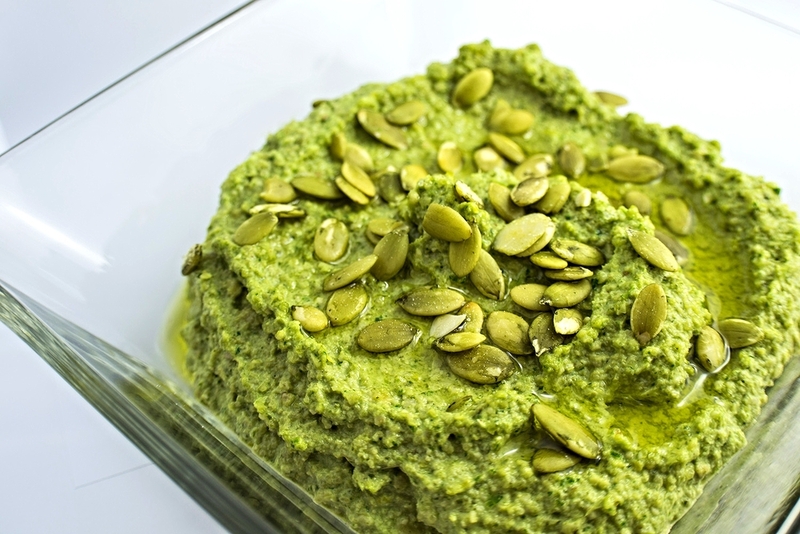 Transfer all of the mixture to a blender and puree with the olive oil, salt, and pepper. The mushrooms can be omitted and milk and butter can be used if you can tolerate dairy but make sure to not add the maple syrup. Half the turnips can also be exchanged for potatoes if you want a more traditional style of mashed potatoes as well and omit the maple syrup. I cringe at the price and ingredients of granola and meal replacement bars at the supermarket…. $2-$4 (sometimes even more) for a bar that has weird sugar syrups, refined oils, soy lecithin, and/or a myriad of other undesirable additives? You can make your own bars at home and control the oils, sweeteners and all of the ingredients for only a fraction of the cost. 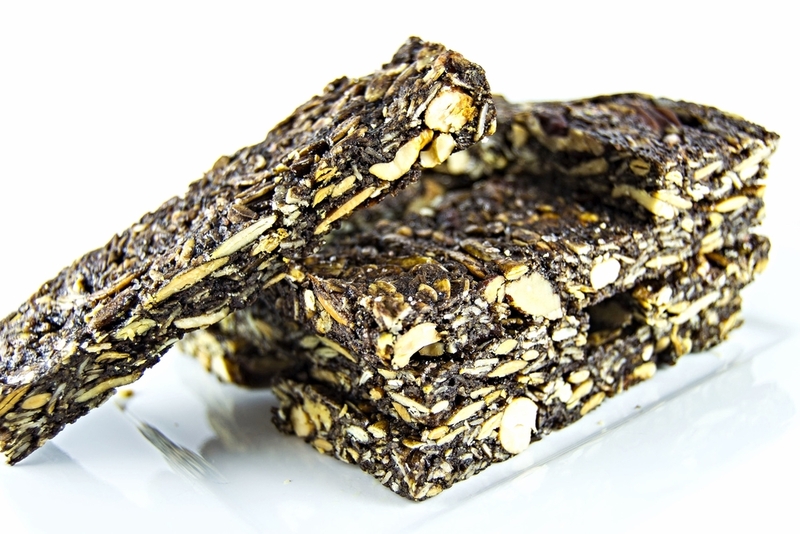 Check out my spicy chocolate coconut granola bars! These puppies are super easy to make and pack up very nicely in your gym bag or purse for some quick fuel on the go. Feel free to sub your favorite nuts and seeds and change the sweetener to your preference (coconut sugar, honey etc). I used garam masala and curry powder but if that’s a little too out there for your taste or you are making these for kids feel free to leave it out. 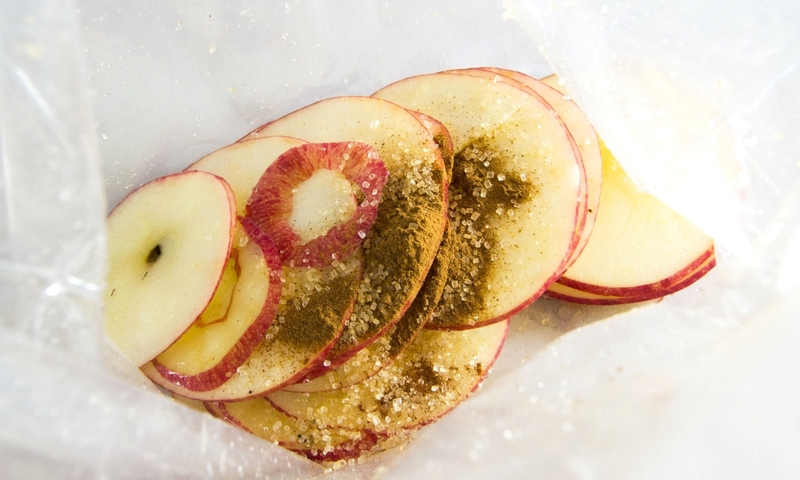 Grease a 9x13 baking pan with the oil you are using for the granola bars and line with parchment paper. Take the pan out of the oven and sprinkle the shredded coconut on top and return the sheet pan to the oven for 2-3 more minutes or until the coconut is lightly browned. Transfer the oat/nut/coconut mixture into a large bowl and set aside. In a saucepan, combine the maple syrup and oil. Over medium high heat bring to a boil and then add the salt, spices, and cacao powder. Stir as soon as you add the spices and as soon as the mixture starts to bubble remove from the heat. Pour the syrup over the oat/nut mixture in the large bowl and stir until evenly coated. Pour the mixture into the prepared pan and press down firmly with a piece of parchment paper over your hands or greased or wet hands. Let cool for 1-2 hours in the pan on the counter. Once fully cooled remove from the pan and turn out onto a cutting board. The size is up to you but I cut mine into 12 bars by cutting the whole tray down the middle length wise and then splitting those 2 pieces into 6 equal portions in the shape of granola bars. If you would like to make a raw bar simply omit toasting the nut and seeds. Combine the syrup mixture and stir into the nuts. Follow the rest of the recipe as is except dehydrate the bars in a warm oven (on the lowest setting) overnight or in a dehydrator for 12 hours or until dry and crispy. Allow to set up on the counter for one hour before slicing. Do not consume raw oats they contain phytic acid that requires them to be soaked first. Soak them overnight and then dehydrate in a low oven or dehydrator overnight to "sprout" them.